The BiOrb Life 15 Litre Aquarium is a compact but very practical choice for housing small temperate fish in style. 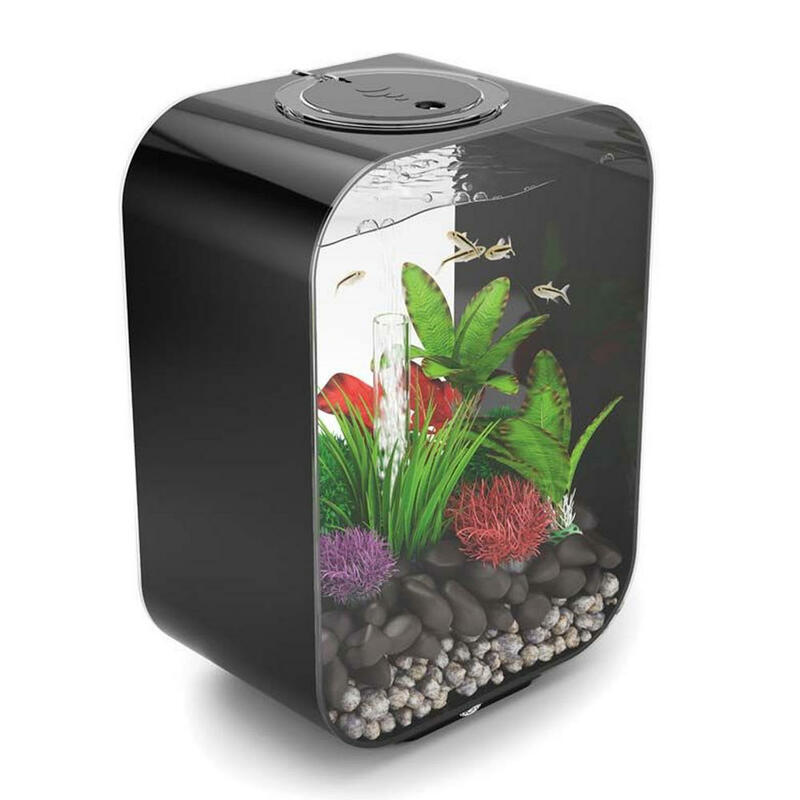 Featuring a curved design and including energy efficient components, the BiOrb Life 15 Litre is the perfect choice of fish tank for any fish enthusiast. 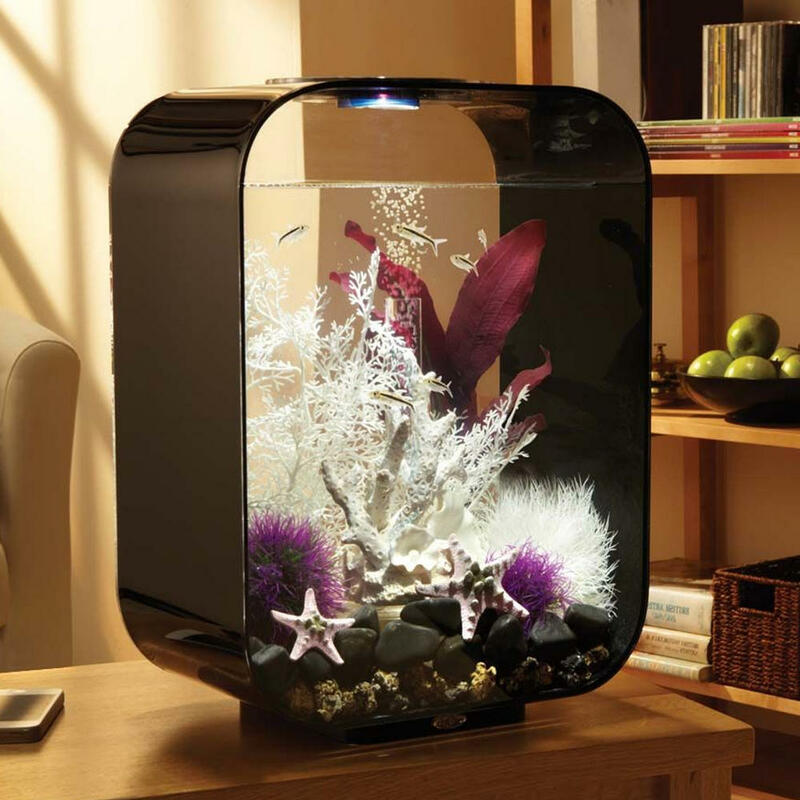 With a built in biological filtration unit and low voltage LED lighting, the BiOrb Life 15 Litre provides everything needed to quickly setup and maintain your aquarium. 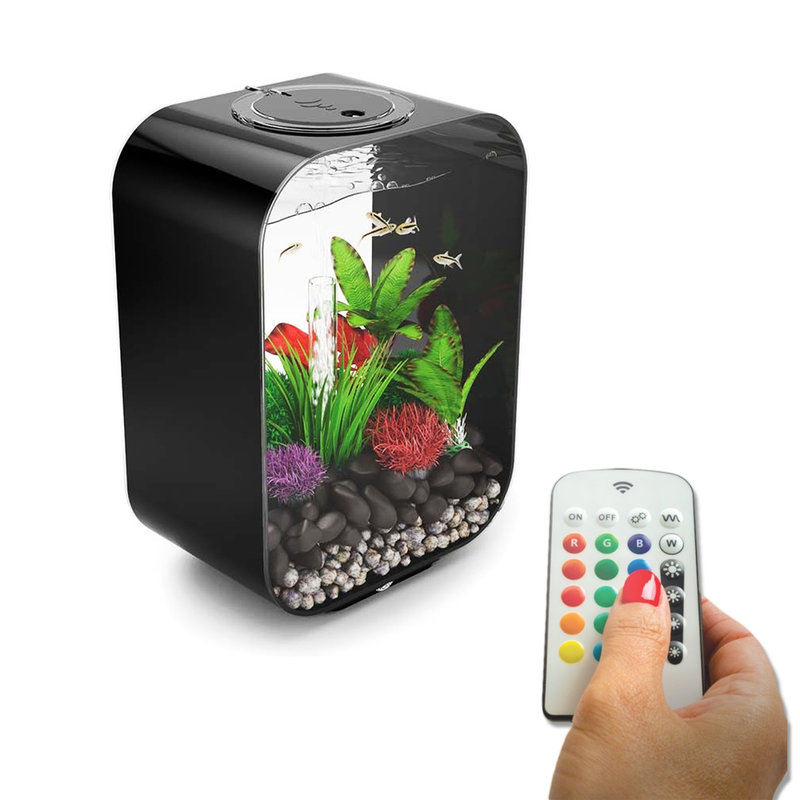 The air stone and air pump (included) provide oxygen to the aquarium through aerating the water and creating movement inside of the tank. 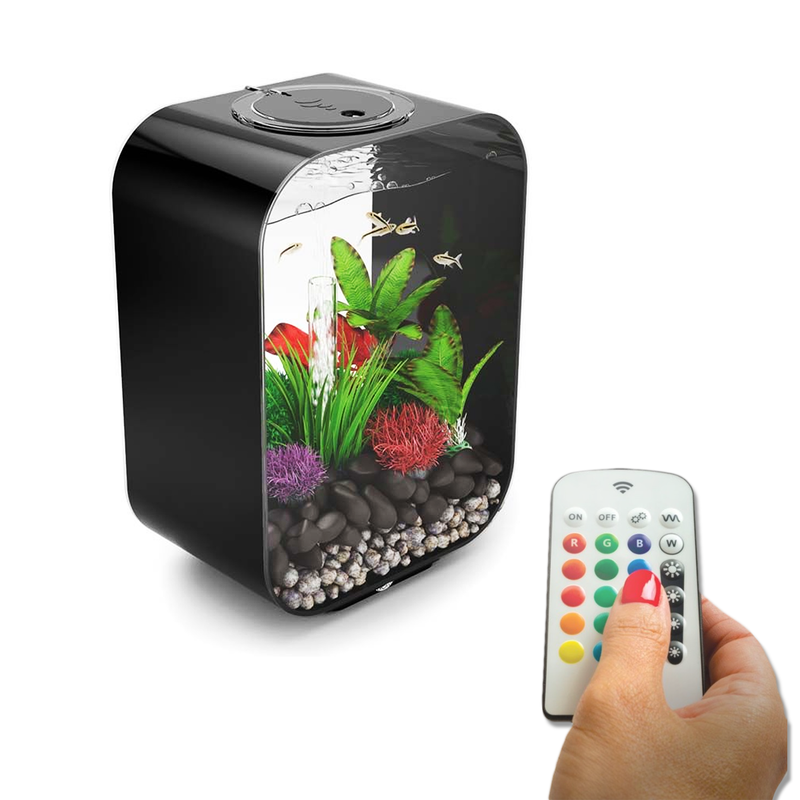 The BiOrb Life is a low wattage and energy efficient all-in-one fish tank perfect for either beginner fish keepers or experienced fish enthusiasts.